It can also be an effective way to create focal points in the room, highlighting architectural details or decorating features that you wish to accentuate. If you dont have a lot of floor space in your bedroom, you need to find ways to maximize the space you have. One way of doing this is to select modestly sized pieces of furniture, to not only make the room seem bigger, but to get better use out of the space. If possible, use a queen or double size bed instead of a king size bed. But, dont make the mistake of using numerous pieces of small furniture when one medium sized piece will do. There are almost an unlimited number of paint color options available, which can help add richness and drama to a room. If you are looking to energize your living area, choose warm colors such as reds and oranges, complimented by shades of gold, tan, taupe or mocha. These earthy colors are perennial favorites that will create a warm glow in the room, giving it an inviting and friendly atmosphere. On the other hand, choosing cool tones can be soothing, and you can select colors such as grays, blues and greens. If you have a lighter overall color scheme in the room based on these colors, painting one wall in a darker shade, or adding a piece of furniture, artwork or other decorating accessory in a bolder cool color can have a nice visual effect. You can also choose a vibrant color such as blue, green, gold or red to add a bold color statement to the room. Whether you use these colors to paint the entire room or just one or two accent walls, you can add a lot of excitement to a room. 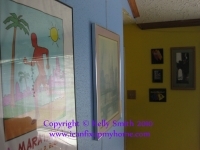 White trim and accents often look crisp and clean next to these brighter colors. If youd rather keep your walls and flooring in more neutral shades, you can use splashes of vibrant color to add a lot of visual interest without the need for dramatic wall color shades. This could include selecting one or two pieces of furniture in a dramatic shade, adding a bold area rug to the entryway, or adding art or accessories that feature a bold color palette. One of the advantages of this method is that it offers a lot of flexibility for changes at any time, since you can alter the overall mood and look of the room simply by swapping out some of the bold accessories. Although some people feel that you should restrict bold colors to one or two, if you look at nature you will see that multiple bold colors can actually accentuate each other and look good together. For instance, think of the beauty of a peacocks feathers. One easy way of selecting a bold color that coordinate involves locating fabric that contains the colors youd like to use. Then, you can carry this color theme throughout the room, using the fabric as the glue that ties the rest of the colors together. 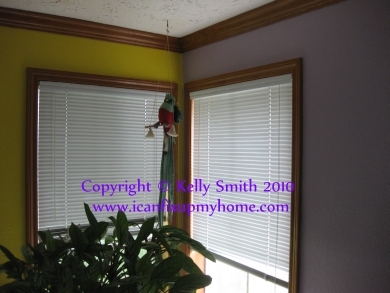 Pick up various colors from the fabric in other areas, such as in the wall or carpeting color. This method can make decorating easy, even for the beginner. Small rooms usually benefit from lighter colors overall, and if you use patterns or prints, keep them small so you dont overpower the room. However, you can definitely use colors other than white and off-whites. Sticking to a monochromatic palette is often a good approach. Go for one focal point within the room, such as a striking piece of wall art. This will add a dramatic and stylish effect to the small bedroom, without cluttering it with smaller decorating items. Jessica Ackerman, writes for WallDecorandHomeAccents.com and offers aspiring home designers the opportunity to decorate with wall sconce candle holder or metal wall art fish .